Happy St. Patrick’s Day! Especially to my very own brother Patrick. 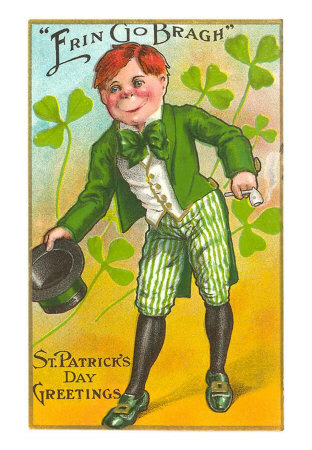 To commemorate the big day, be sure to read these priceless Irish toasts. Simple and comical. Enjoy! Of one beer drunken slob for another. and to whiskey, amber clear. But a darn sight more sincere! Best while you have it, use your breath. Shot by a jealous wife! A strong heart and a wet mouth! Tis a grand day for the Irish! Tanks for posting, Jim! Thanks Maura! It’s a great day! I really liked this post it reminds us all to celebrate our Irish or non-Irish heritage. You have one of the best insurance blogs out there keep it up! Thanks Joshua! I appreciate you following.